J-FEST was a festival of Contemporary Japanese culture held in Moscow at the Central House of Artists. It was designed to showcase or present Japanese culture with an emphasis on youth and young people with the accent on phenomena like manga and anime, cosplay etc. The event was held in the House of Artists in the centre of Moscow. I wanted to the film the event partly out of curiosity and partly to collect material for the Japan-Philosophical Landscapes project and maybe get an interview or two with some of the main participants and speakers at the event. We arrived an hour or two after the event had started and I was surprised by how many people had turned up. Several hundred people were milling around the foyer and in the various exhibition points where events were being held. A fashion show was just ending in the DNK hall with fashions from the Harajuku area of Tokyo. Outside in the foyer young Russians dressed in various costumes of manga and anime style were thronging around the two floors where the event was taking place. On one side of the foyer a whole wall had been given over to Kyoto Seiko Universtity with a video instalation dedicated on the theme of the recent earthquake and a mural being painted by students from the university. The costumes were various but mostly on the themes of maids, cosplay, anime and manga with a strong influence of gothic but generally recognisable as derived from the street fashions of Harajuku. At the press conference the panel consisted of the architect Takayuki Suzuki and May J the singer who heads the show J-Melo on NHK . J-Melo is a cult musical TV show Japanese TV channel NHK. It is broadcast in 180 countries and regions, and finally made ​​it to Moscow. May J. is of Japanese, Iranian, Turkish, Russian, Spanish and English extraction. It was strange to see these symbols and emblems of Japanese culture being played out in Moscow but one way of understanding this phenomena is with reference to Takamasa Sakurai was also on the panal. A journalist and a media content producer - he is convinced that the world will certainly have a "kawaii revolution." He is convinced that due to the popularity of their pop culture, Japan could become a diplomatic mediator between different countries. In recent years, Sakurai-san has been an active lecturer in various countries. Suzuki-sensei is trying to reconcile modern building and new forms of the 21st century with traditional Japanese ideas of beauty. Thus, in their universitybuilding, which he designed, he tried to include as much as possible, "the sky" which "need students to dream." 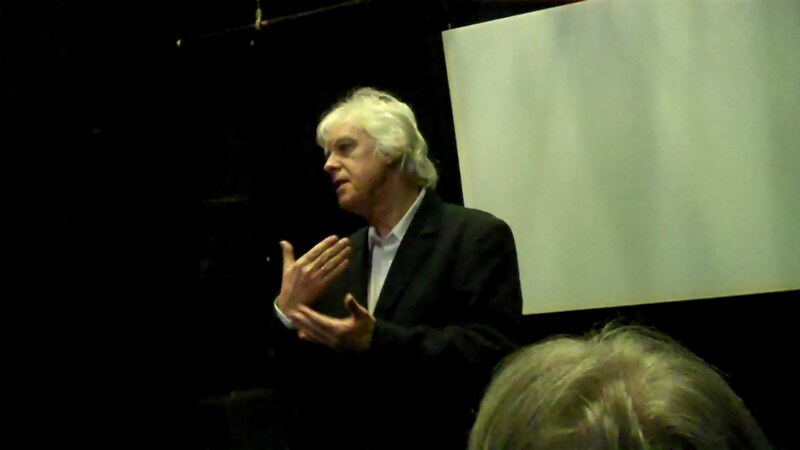 In his lecture he spoke about contemporary Japanese landscapes from the perspective of Japanese culture. Takayuki Suzuki: "Situated in the Far East, modern Japan is one of the centers of world culture and therefore for understanding the future we need to talk about the features of Japanese culture, characteristic of the Japanese urban landscape and everyday life of Japanese youth". After his interview I am hoping to use some of the material for the project Japan Philosophical Landscapes. His work and ideas may form the nexus between traditional and contemporary understandings of landscape and pinch together these two major themes in the film. Japan-Philosophical Landscapes "Gingaku ji-Landscapes and Sandscapes"
However in some ways the Silver Pavilion, Ginkaku ji, is no less beautiful despite its subdued presence if compared to the Golden Pavilion. The addition of moss covered grounds and what I would call "sandscapes" - abstract images made with sand and grit give it a unique quality as a Zen temple. They do not represent the landscape or depict a particular landscape but communicate an essence or idea. The cone of sand in the garden resembles Mount Fuji however this is but a surface interpretation. A mountain is seemingly a solid thing ostensibly made of hard rock. However mountains can fall or increase in size with volcanic eruptions. A miniature mountain of sand conveys this state of flux or indeterminateness of things and life which Zen Buddhism teaches. The volume of sand shaped into a cone is held in a state of static but fluid tension which can change with a gust of wind or a heavy downpour of rain and then reconstituted anew. Similarly sand as waves convey the inter penetrability of things. This constant blurring of borders between materials conveys the solid but non materiality of an idea given expression in three dimensional space. The essence of Zen Buddhism. However in some ways the Silver Pavilion, Ginkaku ji, is no less beautiful despite its subdued presence if compared to the Golden Pavilion. The addition of moss covered grounds and what I would call "sandscapes" - abstract images made with sand and grit give it a unique quality as a Zen temple. They do not represent the landscape or depict a particular landscape but communicate an essence or idea. The cone of sand in the garden resembles Mount Fuji however this is but a surface interpretation. A mountain is seemingly a solid thing ostensibly made of hard rock. However mountains can fall or increase in size with volcanic eruptions. A miniature mountain of sand conveys this state of flux or indeterminateness of things and life which Zen Buddhism teaches. The volume of sand shaped into a cone is held in a state of static but fluid tension which can change with a gust of wind or a heavy downpour of rain and then reconstituted anew. Similarly sand as waves covey the inter penetrability of things. This constant blurring of borders between materials shows the solid but non materiality of an idea given expression in three dimensional space. The essence of Zen Buddhism. The last few days have been a process of clearing away old obstacles and barriers in order to proceed with a several new projects. A few years ago we spent a fair amount of time in Japan shooting material for a couple of films which I have been working on and editing. The work on this project was interrupted by the Stanislavsky film "Stanislavsky and the Russian Theatre" which is now complete. After revisiting the Japanese project it is re-emerging as web documentary called "Japan - Philosophical Landscapes". More information about it can be found here. Also the first part has been uploaded to the internet (see below). 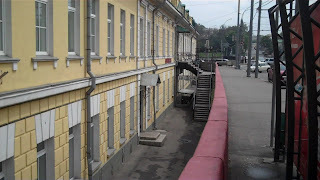 At the same time a new site is being constructed to accommodate the Fairground Booth Project and discussions are taking place as to how best proceed in organising the logistics of the film and its corresponding documentary projects "Carnival and the Russian Theatre" and "Vahktangov and the Russian Theatre". Once the site is up and running details will be released. Some exciting work getting done at the moment. Working on the setting up of two web sites. One for a web documentary about Japanese art and culture called simply "Japan - Philosophical Landscapes". The site is still in the process of construction so it is not fully operational as yet with some modules and elements hidden. It is a project which I have been working on and off for about two years ever since we returned from filming in Japan a second time over a three month period. At last it is taking some shape and I am ready to start releasing it in instalments on the web and have set up a new web site specifically for this purpose. 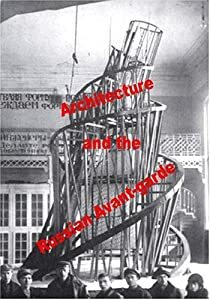 That is not to say that I have neglected the Russian Theatre project centred around Blok's play The Fairground Booth and the two documentary films "Vakhatangov and the Russian Theatre" and "Carnival and the Russian Theatre". I am in the process of building a website which will become the focus of this project with information, blogs and articles to chart it's progress. Making my way around Moscow to meetings and checking out various possibilities, cameras etc, for the films. The last few days have been a question of working out a tone and style for the film adaptation of The Fairground Booth. The accompanying documentaries in the project "Vakhtangov and the Russian Theatre" and "Carnival in Russian Theatre" are relatively straight forward with the stress on relatively. However a film adaptation of Blok's play is distinctly problematic. Firstly, there are many stereotypical takes on the main characters -Pierrot, Columbine and Harlequin which I want to avoid. I aim to find a particular tone and style for the production and this will effect the overall design for the play, costumes set and general look. This will take time so the best thing is to continue with the shooting script and background research to all the three films. This will provide the necessary depth once some of the other questions begin to get solved. Its a similar situation I faced in the film "Alexander Rodchenko and the Russian Avant-garde". 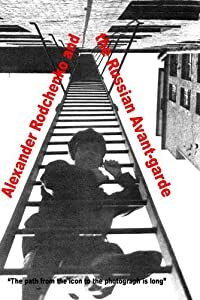 It was the first film I made in Moscow and required scenes showing Rodchenko at work at his desk and other scenes of Rodchenko. For an extended account about the making of this film click here. 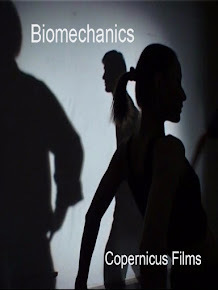 In this film I needed to solve two basic problems. The style in which I would shoot and casting the role of Rodchenko. It took a long time and followed a specific process of finding the right person for the role. A similar process is emerging once again whereby there are a lot of questions and and you have to wait for some of the answers. 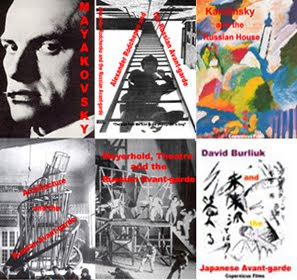 Kandinsky and the Russian House is the 6th in a series of documentary films about the Russian Avant-garde. This film is about Kandinsky and his pioneering work in abstract art at the beginning of the century in Russia and in Germany. Using archive footage and locations in Munich and Moscow this film follows Kandinsky's development of abstract art. The film is available on DVD. For more information. 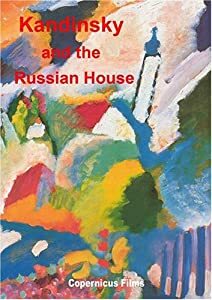 The Russian House was the name given to the cottage in Murnau in Bavaria - Southern Germany by the local towns people. Here Kandinsky and his partner Gabrielle Munter lived worked and painted. Various painters and artists visited Kandinsky here and it became the focus for what later became the Blue Rider Group of artists in Munich. Click on the arrow below to watch the film. The early evening and night in the Russian countryside is a unique phenomenon. Mute in its stillness but full of sound and movement as if the earth itself has come alive. Humming and buzzing with life. A myriad of creatures, birds and insects live out their fate and the forest stirs with unseen movement. It is the time when the emotions become attuned to the world and it seems we hear the fullness of its shifting chords and languid phrases. 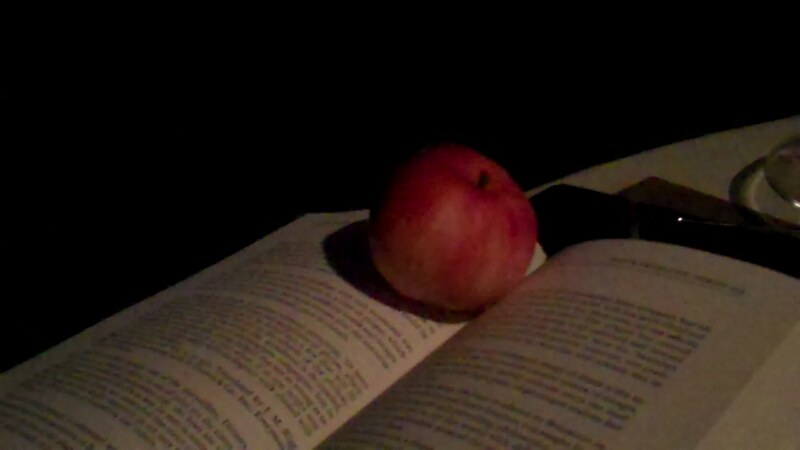 It is the time which Chekhov often chose in his plays to reveal the heightened awareness of the characters, where they re experience life's betrayals and traumas as the intensity of the night encloses around the already enclosed world of the dacha. Anyway that's enough lyricism for one blog - on with the work. I work all day now, writing and sifting through the material for the films. I work better in the open air and even better when it rains for some reason. The long days give ample opportunity for prolonged activity and for thinking through ideas. Step by step the plans are beginning to take shape, gradually gaining coherence as well substance. Early days still but good progress. These are the first steps of a new project. We have come out to the Russian Country side to start preparations in what could be called Chekhov Country or Russian Dacha country. Its a fitting location to start these projects which are about Russian Theatre in the late 19th and early twentieth century. The films will consist of two documentaries. One about Vahktangov and one about the role of carnival in Russian theatre of this period. Plus a feature type adaptation of Bloks play The Fairground Booth. For the next two or three weeks while We are here I will be writing and researching these projects and documenting them here in this blog and elsewhere. 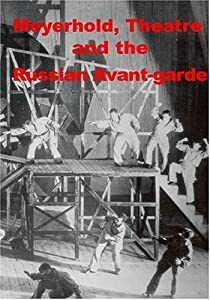 These films will follow on from the two films already completed about Russian Theatre “Meyerhold Theatre and the Russian Avant-garde” and “Stanislavsky and the Russian Theatre” to make up a series of films about the topic of Russian theatre of the early twentieth century. Using footage I will shoot out here I will try and give a flavour of life in the Russian countryside as well as documenting the start of this project. Click on the “playlist” to see all the options. Plans are afoot for new projects and announcements will be made towards the end of the summer when the details are a bit more worked out. Last few days quite subdued while taking stock and trying to develop ideas for new projects. A few days working on the last pieces of the book "Journey to Ogasawara" which is gradually taking shape and will be ready to be published as an e-book at first and then as a paperback as well. Am editing footage which was shot on Ogasawara as part of the film "David Burliuk and the Japanese Avant-garde" but which wasn't included in the film itself. Quite a lot of material as it turns out. I am editing the farewell send off which is part of the island's tradition, a mixture of Japanese and it would seem Polynesian traditions. I need to add a few graphics and pictures and the e-book will be ready for publication. 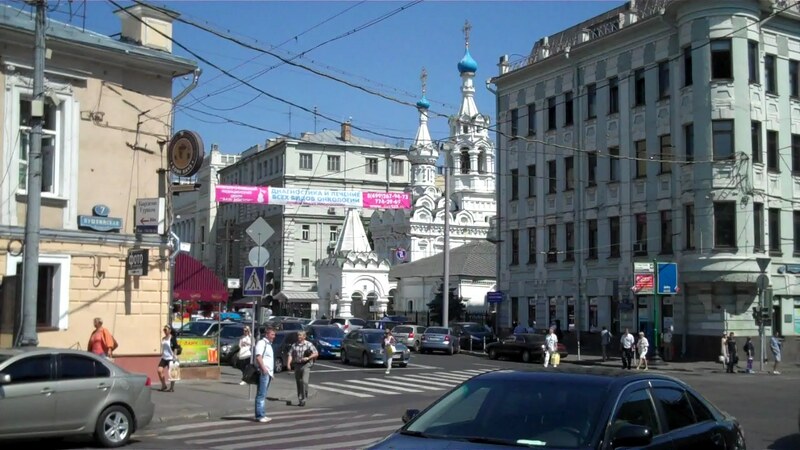 Summer in Moscow is a quiet affair with many people leaving at weekends for their dachas so that their is a sensation of Moscow being emptied which on the one hand is a pleasant alternative to the usual frenzied pace which is a character of the city. However it is an eerie sensation all the same. Did some filming on the flip camera around the location for film on which I worked some years ago across the road from the Library of Foreign Literature not far from Taganka. Walked back from there to Kitae Gorod and back home on the metro. Last few days have been about development of new projects or at any rate thinking about this subject. That's not strictly true as some work has been going on. Its a sunny day in Moscow and not much work is getting completed. Too many interruptions what with air conditioners breaking down and other trivia which has interrupted the work flow of the day. Also reading Bakhtins book "The Poetics of Dostoevsky". Illuminates many elements of Dostoevsky's aesthetics with some surprising conclusions. Its remarkable how innovative Dostoevsky was despite the limitations and specific characteristics of his work. I have been reading Dostoevsky since I was fourteen years old and only now do I begin to really understand what a great author he was and what a departure his work was from Gogol and Tolstoy. Utterly different. Strange to talk about this author who explores some of the darker recesses of humanity on such a sunny bright day in Moscow. 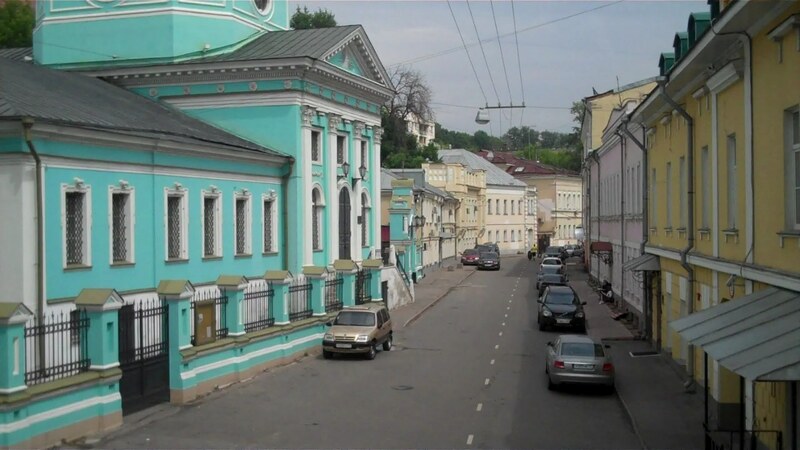 A long time has passed, or so it seems, since completing the film "Stanislavsky and the Russian Theatre" and a process of reflection has replaced the frenetic rush to finish the film in time for the premiere and get it released at roughly the same time. The premiere has been documented elsewhere and there is even a few clips which can be seen on YouTube. The film itself can be watched also on YouTube. From the premiere of "Stanislavsky and the Russian Theatre"
What kind of character this reflection is taking will become apparent with time. Having relaxed in the UK for a few weeks, coming back to the energetic pace of Moscow is always disorientating but certain elements are beginning to take shape. One thing that becomes clear is how out of control the process is despite the fact that you think you are controlling all the elements and progress. Its only after getting my head out of the editing process that the true significance of the film can be seen. Its too early as yet to make any confident conclusions or pronouncements. The most important thing for now is promoting the film. That is paramount at the moment and it requires a great deal of work and attention. In that sense many of the discussions which are taking place over the internet and elsewhere by such people as John Reiss , Ted Hope, Chris Jones and by independent film makers such as Oklahoma Ward and David Baker as well as many others are very apt. The divison between marketing your film and making a film in the new environment for independent film makers, is a fine line, if it exists at all. One thing that can be said in this process is the effect that Moscow has on my work. Moscow can be a difficult place to live and work in. The noise, the climate, the traffic and the general lifestyle all combine to create obstacles and barriers etc. However for me and I know I have said this before, there is a specific energy or atmosphere which exists here and maybe in Russia generally which is creatively stimulating and galvanising. Tomorrow I will be off to the Moscow State Duma to a friends Photo exhibition which is opening there tomorrow. More about that later. 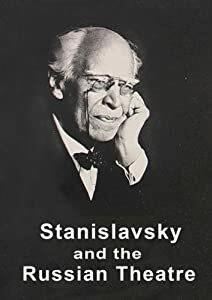 Finally, after much tweaking and adjusting, the documentary film “Stanislavsky and the Russian Theatre” has been released on DVD after a successful launch and premiere at the Barn Theatre of the Rose Bruford College of Theatre and Performence. The premiere took place a few weeks ago but I will be posting information about the premiere and the film a little later. The film is available in both NTSC and PAL formats. Check your countrys’ broadcasting standard system and formats to see which is the correct one for your country. Getting closer to finishing film "Stanislavsky and the Russian Theatre". No major adjustments required but all the same a lot of work straightening out minor details and mistakes. All my time has been taken up with these tasks so I have had my head buried in the film, leaving no room for anything else. I showed a more or less complete version to Paul Fryer and Andrew Eglinton at The Stanislavski Centre. They have made some suggestions about marketing the film and pushing it and there are preliminary discussions about a showing of the film which would in effect be a premiere. They are looking into the possibilities of venues. 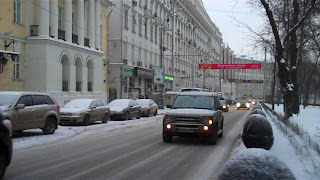 Moscow is once again blanketed in snow after we thought that we had seen the end of it and spring had started. In many ways I feel I am holding back until the film is absolutely ready before launching into marketing and promotion and articles about the film. I have a lot to say but I need to say it first in the film. Then we will see what happens. There is much talk these days of marketing your film and thinking about distribution and promotion well before the film goes into production and during the production. People like John Reiss, Ted Hope and Chris Jones and many others have been emphasising the need for this stage. John Reiss proposes a special new post on a film specifically devoted to distribution and Internet marketing as part of the film production process. In many ways I am in complete agreement with them. However I still believe the film is the thing. That is not to say that I have not been actively engaged in this sphere. 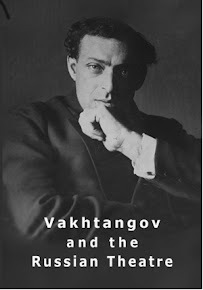 With this film I have teamed up with The Stanislavski Centre, which holds the biggest Stanislavsky archive in Europe, outside Russia and they have many connections and outlets in the world of theatre. 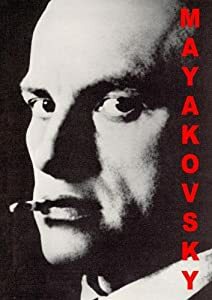 I have a site devoted to Stanislavsky and theatre which is intended to be resource for the film to stimulate and promote interest. However I agree with Seth Godin if I understand him correctly, when he says that in the end you have to create something which can be marketed and you have to get down and do that no matter what. The question in the context of a film is which bit drives the other. Does the marketing/promotion/audience gathering drive the film or does the film drive the marketing promotion/audience/gathering or is this a false dichotomy? As I said at the beginning there is a lot of things to say but the core is the film and I think that needs to be in focus all the time if you are trying to do all these things yourself simultaneously. Once the film is released I might have more to say about these aspects. One of the things I want to do when this film is over is finish the book I have written "Journey to Ogasawara". The book is completed but just needs editing and put together for publication. All in all I have been thinking about writing more - trying to find more to time to write and dovetail it with the films I have been making. Yesterday was good day for editing even with winter biting in the way that it is in Moscow. Not being able or wanting to go out can be a positive experience. It gives me plenty of opportunity for editing and working on our present project "Stanislavsky and Russian Theatre" . For one reason or another I needed to spend Sunday around the Tverskoi Bulvar area of Moscow. 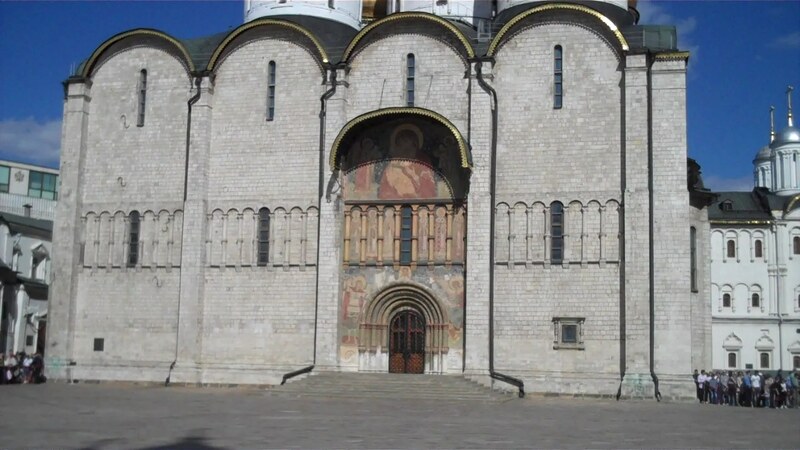 I decided to shoot some footage around this area as it is associated with the theatrical history of Moscow and visually features in the theatrical archives. The snow had stopped for a while and it was not so cold. The light was perfect for what I had in mind. Soft and muted, giving a vaguely fuzzy and paradoxically warm tone to the images. Waiting to receive the second part of the narration for the film from the actor James Langton. After a bit of going backwards and forwards until we settled on a final version. Once this is complete then we will go through the final part of the narration and then should be set for sound mixing. There were some problems with the syntax of the script but these hopefully have been ironed out. Using After Effects to animate an old Moscow engraving or picture of a snow scene on Tverskaya, the main street which leads down to the Kremlin. It is a quintessential winter scene form old Moscow and if it works it will be a very effective piece of animation for the film. From this I have been able to work out a sequence using other engravings and integrating them with footage I have shot already and footage I will be shooting in the near future once the weather lets up a bit. 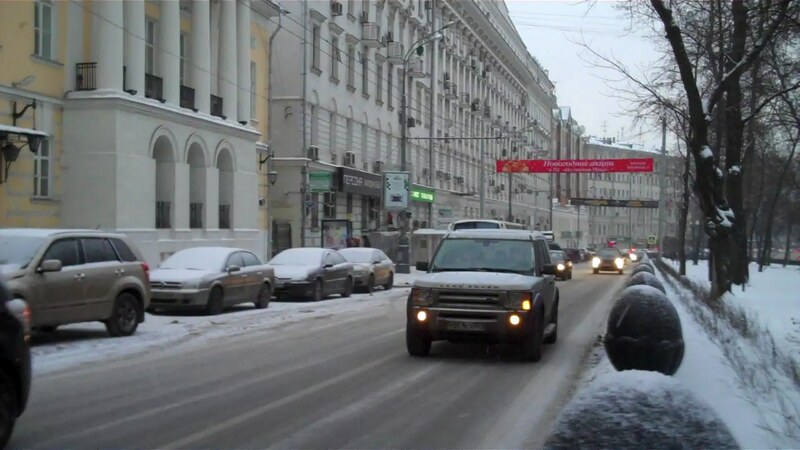 The snow is starting to melt as the days become warmer here in Moscow. All day the "alpenists" have been nosily clearing snow and ice from the roof of our apartment block. A long day with not a great deal to show for itself in many ways although our Japanese lesson always makes us feel good. Learning Japanese through Russian is a unique experience but I prefer it. It keeps my language skills sharp. At the moment working hard on the editing for"Stanislavsky and Russian Theatre". Its gradually coming together and hopefully I will hit the end of February deadline. Yesterday visited a friends exhibition of photographs at the House of Journalist in Moscow. Slava Sachkov exhibited together with the photo journalist Sergie Shevtzov a series of photographs reflecting Russian life and people. Slava has photographed the portraits of many of Russia's most influential cultural figures including Solzhenitzyn. We have worked together on various occasions and I am glad to say he was the camera operator on two of the films in the series about the Russian avant-garde - "Mayakovsky" and "Meyerhold Theatre and the Russian Avant-garde" Therefore its a real pleasure to see his work exhibited at this major exhibition in Moscow. Below is a selection from the exhibition. Poster for exhibition "Faces of Russia"
Worked late into the evening and night on the film"Stanislavsky and Russian Theatre" I've been trying to get the first section right. If I can do this then most of the film will follow. Concentrating on the music sound track and the opening chords to the film which are both visual and musical and give a feeling of the atmosphere of Moscow at night. Metro very quiet - a definite absence of the usual bustle and crowds which is its main feature these days. Seems like many people avoiding travelling after the recent events, tense and subdued. Today bright and sunny but very cold. I noticed last night on my way home that the sky was clear and the air super crisp which denoted fine weather for the following day. Its my favourite time of the year in Moscow, in winter that is. Will work more today on the film. Also working on background material for the film which will widen out the scope of the subject and be useful additional information to go with the film. This is my intention. That is to offer a range of supporting material in association with the film - the full interviews, articles, sites where information about Stanislavsky and Russian theatre in general. This will be in conjunction with The Stanislavsky Centre in London at the Rose Bruford College of Performance and Actingand the London Theatre Blog. In this way the squidoo site is very useful with its lenses and stuff which I am getting to know how to use. It offers an additional hub to theCopernicus Films web site and at the same time links with the web and other social media platforms. I like the way its is set up. At first I wasn't sure about it but recent improvements have made it a useful instrument in collating and disseminating information about the work. I like the way it breaks down modules into specific subjects and groups them together. Moscow has been covered in a mantle of mist for the last few days. Yesterday I walked from my apartment down to he embankment of the Moscow river, past the Ukraine Hotel (Now the Raddisson), and the White House on up towards the curved bridge which carries the metro across the river like some fairground attraction every two minutes. I turned back to look at the new Moscow City complex, the peaks of the tallest buildings shrouded in a thick mist like something from a Chinese monochrome mountain landscape painting. Cars swished by in the slush left by the melting snow and as a result of the mild weather conditions. As I was near to the Museum of the East I called into a friend who works there and we talked for an hour or so, both glad that the long holiday is finally over and we can get back to work. I came home later grateful to get back into my work on a film about Stanislavsky - "Stanislavsky and Russian Theatre". An exhibition, 3D Visions, at the Tokyo Metropolitan Museum of Photography is an exploration of the practice of giving flat images the illusion of depth. 3D is the new by word in film making and this article casts a new light on this phenomena. I read an article about the exhibition which prompted some new thoughts on the subject which hadn't occurred to me before. 3D could become a way of exploring new visual and compositional possibilities in film making. The following quote from the curator of the museum, Junya Yamamine is particularly apt and revealing in this context. "that filmmakers are striving to make 3D an expression of a "world view" rather than just stringing together cheap visual thrills". The next step, he says, is for creators literate in the technology to develop new forms of expression. As a film maker this is one of the first sensible things I have heard out about how to use and develop this format. Rather than being afraid of this technology film makers ought to learn how to use it to extend their expressive possibilities whether it is in film, animation or trans-media projects. The expression "world view" in relation to 3D is especially intriguing and I would have liked Junya Yamamine to have enlarged on what he had in mind by such an expression. 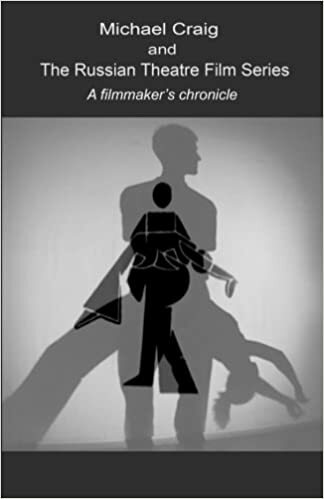 For my own part I am interested in the philosophical possibilities of film purely as a medium of expression, that is the ability of film to reveal or disclose a truth not necessarily in a narrative form but as a conceptual entity. Instead of trying to fit 3D into our pre conceived ideas of story telling maybe we should give it free rein to reveal its own interior power. This exhibition seems to be an attempt to do this albeit in the realm of photography.